Church hats are much more than beautiful accessories to complement our Sunday’s best. They have been a more significant part of the African American society for the longest time. If you have been wearing your church hats as just a fashionable item or if you haven’t worn one at all, it’s important to know that church hats are a symbol both spiritually and culturally. Knowing the history and significance of church hats is sure to inspire you and help you wear your hats with pride. The Bible has always told us that women should cover their heads in church. The scripture instructs women to do so as a symbol of respect to God, their husbands, and themselves. It might be a spiritually significant instruction but the passages also encourage women to bear their femininity with pride. Church hats or any covering for the head is encouraged by the bible and over the decades, women have evolved the culture to elaborate hat designs. For the African American society church hats go far back. Sunday church was a place that always symbolized hope and change. Each Sunday was thus treated as a time of worship, prayer, and celebration. Women of that time and still today revered God and practiced the tradition of wearing hats to church to cover their heads. They also wore their Sunday’s best church dresses. They felt that they honored God by dressing in their most elaborate outfits. Originally the hats were made from almost any material such as straws, feathers, ribbons, flowers and so on. Thus wearing hats became a symbol of identity through pride and joy. Church hats soon became known as "crowns for the way they adorned" the African American woman. Early on African American women wore flamboyant hats made from beautiful, brightly-colored materials. While they wanted to reverence God, obey the scriptures, and complement their Sunday’s wear, they also intended that the exquisite designs of their hats would catch God’s eye. It was a silent prayer they hoped would reach heaven and God. Till this day, African American women would complement their beautiful hats with the phrase ‘trying to catch God’s eye’. As decades passed, church hats evolved to that of class and success. People of the growing middle class wore more colorful and elaborate hats with uncommon designs to indicate their economic success. This evolution was closely followed by the introduction of gloves, hoses, and so on. ‘Crowns’ was a book written by Michael Cunningham and Craig Marberry in the year 2000. This unique book told the story of African American women and their hats. It also celebrated their individualism. ‘Crowns’ was celebrated for years and even to this day. Easter and mother’s day are recognized as the biggest hat days for African American women. They take out time to purchase unique designs of church hats to celebrate these days. 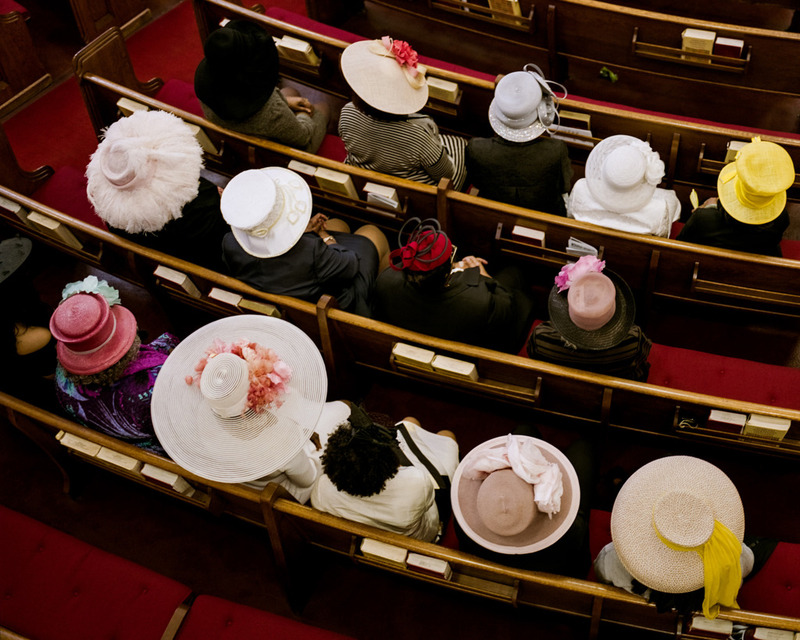 You can find both old and young women wearing diverse designs of church hats each Sunday. Some women could own as much as 50 hats or more / one to match every outfit or shoe. At Designer Church Suits we stock the most beautiful and elaborate church hats for you. They come in diverse designs, colors, sizes, and so on. Our church hats are designed to reach every age and suit every occasion or Church event. When you shop our uniquely styled designer church hats, you are sure of making a statement and indeed catching God’s eye. We also have western inspired hats for the contemporary American woman. These church hats can complement your church suits, church dresses, shoes, and bags. Regardless of the occasion, you will certainly look glamorous. 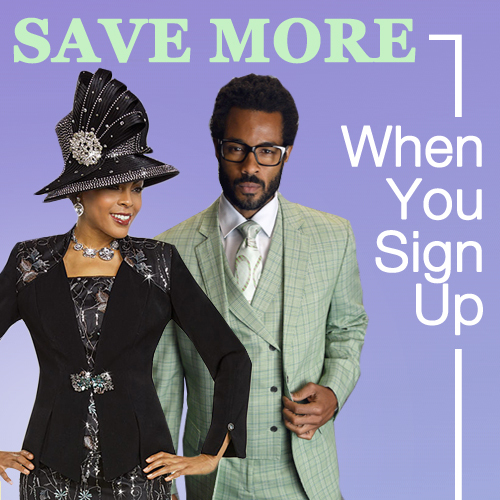 Add some spice to your hat collection by purchasing from Designer Church Suits. If you have hardly worn a hat, you can start by selecting a design that showcases your personal style. Church hats are an identity. They are part of an ancient tradition that must live on and more importantly they honor God and the Church. Hope you enjoyed the blog, Be Blessed!